Paper Creatures Theatre is a new London-based theatre company exploring the simple, compelling and bold stories that hold up a mirror to the Millennial generation. It all started in a Travelodge, as all great theatre companies do! Two actors. On tour. Classic. Evenings after the show for these two actors would consist of mulling over life in their shared room whilst eating a 'Two for Tuesdays' Dominos Pizza, drinking draft beer from the Travelodge Bar followed by binge watching 'Friday Night Lights' on Netflix. Talk would often turn to the love of the characters in this show: 21st century, everyday, small town people where a Friday night football game was life or death. In true actor fashion, talk THEN turned to what makes good theatre! There seemed to be a running theme, new writing was always something that conversation would return to. 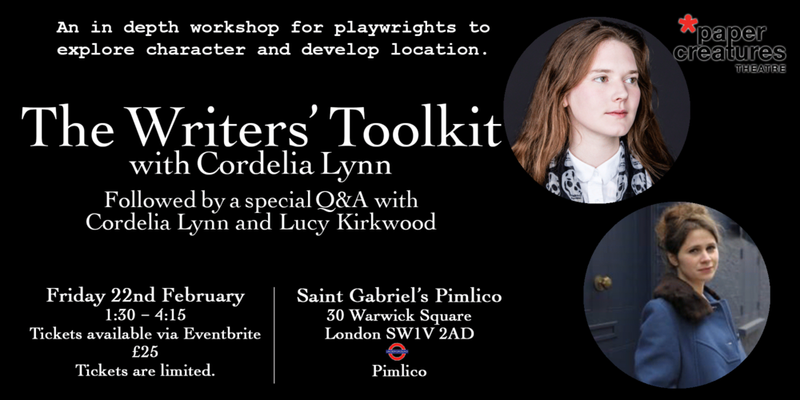 New Writing is becoming a vast growing revolution in the theatre world. Of course the classics will remain, hence why they are 'the classics'. But new stories need to be told! This was a shared view of our two actors. Inspired by friends who have set up their own theatre companies as well as many venues across the U.K. who cater to new writing, this was something they wanted to be a part of! The tour finished, but the ideas and discussions didn't. The Hoxton Hotel in Holborn served as the location for the first creative meeting for our two protagonists. Thoughts were shared and talks were had over glasses of The Hoxton house red. And here they are....Paper Creatures Theatre! With a brand new play which will be performed at the Tristan Bates Theatre this August, as part of the Camden Fringe! Enough of the third person narrative! Although, we hope it did add to your experience. We would like to sign out with some words from our favourite TV series 'Friday Night Lights', which we as co-founders will swear to live by when creating our work. We feel there is more to our generation than what the press and media make us out to be. We aren't just social media addicts. People in their 30's and 20's still Grieve, right? Love? Hate? Fear? Trust? Envy? Pity? You get the idea! So, who better to tell stories about Millennials than Millennials? We feel that good theatre is about storytelling. We lead with the idea that the story is enough. we also believe the best theatre provokes, engages and encourages discussion after having left the theatre. Good theatre also proves truthful. We welcome all to see our shows and no matter who you are, we hope you can find something that you can connect or relate to from watching our work. It's all very symbolic really. For us theatre starts with a clean sheet of ‘Paper’ (whether it be on an Apple Mac or a crappy old notebook). From this comes the ideas, stories and scripts. 'Creatures' symbolise what we all are at heart, curious beasts who love, laugh, cry and all the things in between.They then manifest themselves into the characters of the story. Then 'Theatre' is that messy place where we can share it all with an emphasis on the most important thing: the story. These three words are the most important things to us and they fuel what we aim to focus on most in our work: Story, Character and, well, Theatre. We may not be made of paper, but we are all creatures nonetheless! Liam McLaughlin is Producer based in London. Starting as a Production Assistant at Tara Finney Productions, he has gone on to work for two leading Off West End venues - Theatre503, as Resident Assistant Producer, and Arcola theatre, as Production & Marketing Assistant. Liam has also worked for Incoming Festival, and commercial theatre company Tiny Fires, and is delighted to be joining the Paper Creatures team as Co-Producer for Section 2. At the sweet age of 17, Matt accidentally fell into producing when he wanted to put on a play independently with his friends. Since, he has covered a range of theatre, including promenade shows at the St. Pancras Crypt, site specific physical theatre in pubs and most prominently, 'Rubber', an immersive show set and performed in a moving car! Currently on his plate is a 3-week run of 'Richard III' at the Barons Court Theatre! 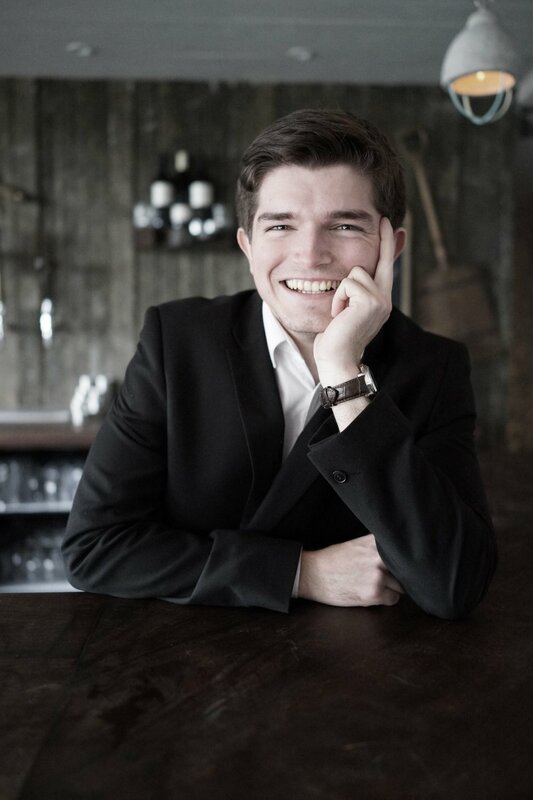 Studying for a degree in Physics at University College London, he has taken a strong stance in the London student theatre scene and is currently the Festival Director of the London Student Drama Festival and the Inter-University Drama Festival. "But why a Physics degree? ", many people may ask. "Well", he would reply, "I really like space". And that's about it on that one. Having worked at theatres such as the Finborough and the Bunker, Matt is excited to be working with Paper Creatures Theatre - they have a raw ambition that is shared by many, but successfully achieved by few. 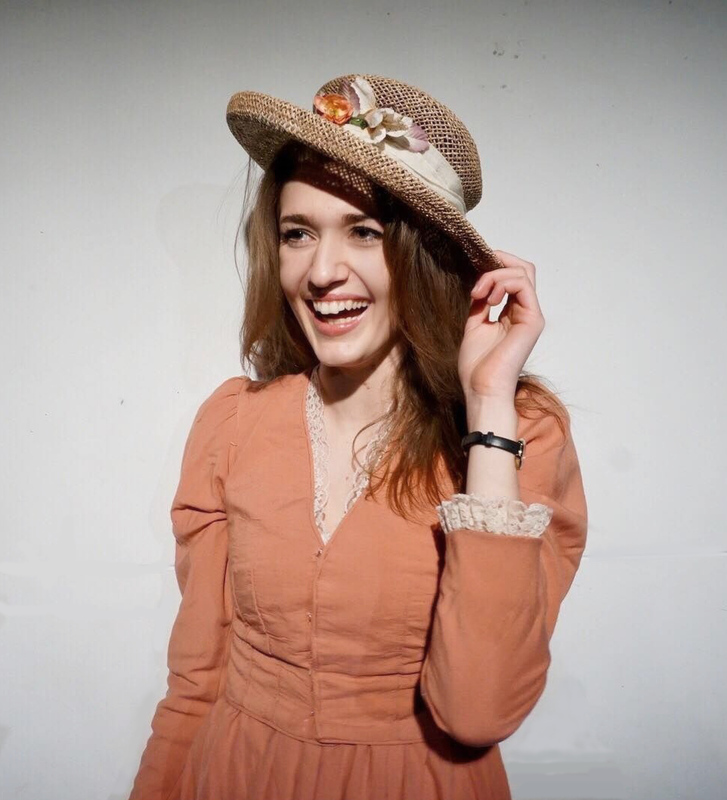 Having always loved everything to do with theatre and being a performer in shows since she can remember, Rebecca studied Theatre and Performance at the University of Leeds (albeit starting with a degree in Geography which swiftly ended) and graduated in July 2018. Whilst at university she was an active member of several theatre societies where she took roles in Sponsorship and Fundraising and in her final year produced several musicals and an opera. Most recently she took a new musical to the Edinburgh Fringe Festival with Chevron Theatre which had a sell-out two week run. 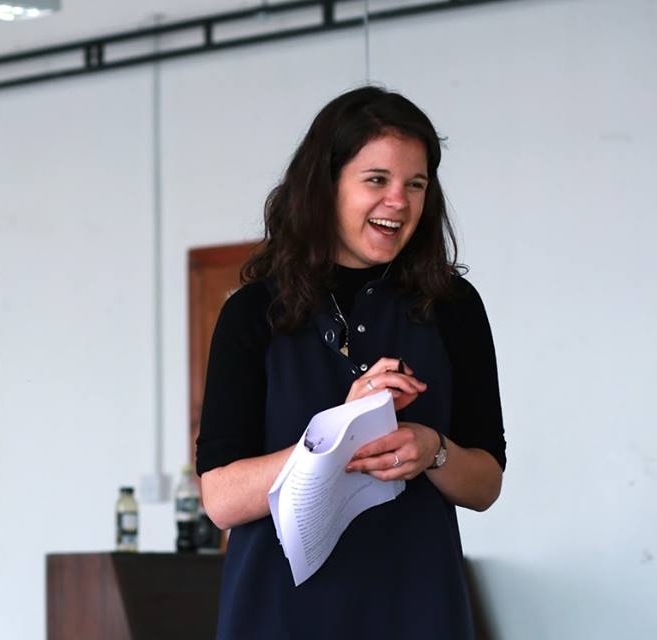 Rebecca has recently moved to London and has just started a MA in Creative Producing at Mountview where she is learning and developing her previous producing skills. Stepping away from musicals and wanting to create theatre that is relevant and makes audiences think when they leave the theatre, and with a keen interest in mental health, she is very excited to be working with Paper Creatures on their Edinburgh adventure with 'Section 2'. Georgie is a writer and director based in London. Starting out as a writer to distract from studying Philosophy at Bristol University, Georgie then turned to directing and completed an M.A. in Theatre Directing at Mountview. Here she found her passion for collaborating with writers on the development of new scripts, right from the kernel of an idea to opening night. She is interested in drama which engages audience through strong characters and humour. Technical and design elements also play a big part across her work. Georgie directed Paper Creatures debut production ‘Flood’. Georgie is Joint Artistic Director of Flux Theatre. In our case, podcasts, features, reviews and videos. Talk with Jon Tozzi and playwright Peter Imms. Talk with Georgie Staight and Peter Imms. Playwright Peter Imms talk about his process as a writer. Talk with producers Jon Tozzi and Nathan Coenen. Talk with actresses Alexandra Da Silva and Esme Patey Ford. Talk with actresses Alexandra Da Silva and Esme Patey-Ford. Talk with producers/actors Jon Tozzi and Nathan Coenen. and producers Jon Tozzi and Nathan Coenen. 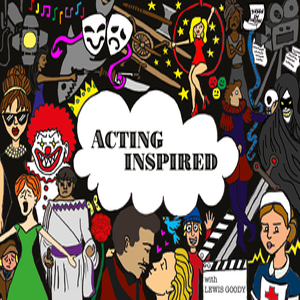 Acting Inspired Podcast - Post Show! Ascend Actors Group - "Thinking Of Starting A Theatre Company?" Why is New Writing so Important? New writing is the lifeblood of theatre. The universal themes of the classics will always persist. However, in a world saturated with information, disconnected by devices designed to bring us closer together, it’s increasingly important we preserve a space for the contemporary voices that whisper to us in the dark, revealing secrets about ourselves and our time that we can’t spill in the cold light of day. The Aim: Bringing together a strong unit of theatre lovers all focused on a collective goal of bringing simple, compelling and bold theatre to its audiences. This is a company that we run alongside our day to day working lives and what we have in bucketloads is a desire to put our theatre company on the map and take on a pivotal role in the new writing revolution which is happening in the theatre world at the moment. What you will gain from being part of the pack is an opportunity to utilise your skill set and gain experience in theatre production supported by and working alongside a passionate, driven and vibrant team who are committed to making groundbreaking theatre that audiences can engage with and enjoy. If you any of the job positions below take your fancy we would love to hear from you! Please email us your CV, relevant experience, a short bio (maybe include a fun fact as we do love those) and why theatre and new writing in particular interests you to info@papercreatures.net. Are you a playwright and have a millennial story you want to be told? Then keep on reading!! We have a unique approach to theatre making here at Paper Creatures Theatre. Our ethos is that we like to create plays from beginning to end; starting from those first scribbles on a blank piece of paper, and working together until we have a full-running production with eager audiences ready to soak it all up. We will be with you every step of the way, collaborating on ideas, organising readthroughs, research & development, funding, finding the right space for it, creating and promoting an effective marketing campaign, and finding the perfect team to bring it all together. Its a long process and takes a lot of hard work, but we absolutely love it, and are keen to make sure everyone else on board loves it too! So if this sounds like a journey you as a writer are interested in taking, get in touch! Please send us a short summary of the idea you have (anything from a kitchen-sink drama, to a high-flying musical, if its to do with the millennials, we're interested), and then some samples of your previous writing work so we have an idea of your writing style. We look forward to hearing from you! We at Paper Creatures Theatre are constantly looking to work with new creatives for future projects. Whether you are an actor, playwright, director, designer, stage manager, a lighting designer or a sound designer, we want to hear from you. Please feel free to send us an email with your CV or examples of your work. Drop us a line to: info@papercreatures.net or fill in the section below.